Olympic Tae-Kwon-Do: A Shining Light in the Sporting Gloom? Second year English and History student, Robert Pratley, talks about the rise of Tae-Kwon-Do in the upcoming Rio Olympics. In terms of competitive sport, few people would argue that integrity, trust and honesty are three absolutely key attributes for any top sporting man or woman in their field. Unfortunately, these attributes have been thrown into question and chaos following the recent doping scandal, which has affected major names, major sports and led to a country being banned from Rio 2016, in an unprecedented move. At the same time, serious questions have rightly been raised about the capability of Rio De Janeiro to host the prestigious sporting event, following the Zika virus outbreak earlier last year, as well as political unrest and problems with building schedules and funding. It is at this point, I would argue that the lesser known Olympic sports, away from the hustle and bustle of the common garden track and field events should be allowed to shine, unfettered by media scrutiny or challenge. There is of course, something of a boon if one of the athletes who excels in a certain field is British. We have one such example with Jade Jones, the Tae-Kwon-Do -57kg Olympic Champion. The ‘Welsh Wonder’, as she is affectionately known by the English press stunned everyone by defeating previous Olympic Champion Fuzhou Hou, to win the Gold at London 2012. But, in an Olympics which Jones says is “do or die”, the real acid test begins. She is no longer the nineteen year old plucky outsider, with guile and a home support firing her on. She is now a seasoned veteran, the top of the tree and as such definitely there to be sniped at. She is now twenty-two, in theory on the way to her peak, and you would wager she will only get there if she defends her title well. An equal quandary is attached to the other major British Tae-Kwon-Do athlete, Lutalo Muhammad. Now twenty-five, he is on his third Olympics, having won the Bronze in the -80kg class at London 2012. Whereas Jones perhaps has more style and finesse, Muhammad has power, sheer force and will to break through, and it is certainly interesting to watch their differing fighting styles. Muhammad will perhaps feel this is his last chance to grab a gold medal, as his next Olympics in Tokyo 2020, will come around when he is twenty-nine, when most top athletes in martial arts tend to start declining. Can Lutalo finally make that jump from the gap of good athlete, to that of outstanding or world class athlete? 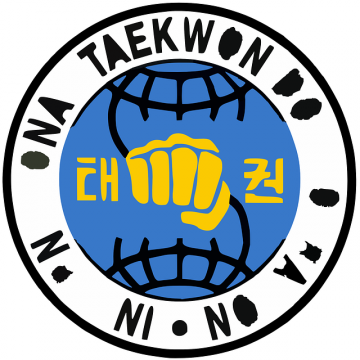 Britain’s prowess in Tae-Kwon-Do, certainly in recent years has been significant and more and more people are joining the sport than ever before, hoping to emulate Jade, Lutalo et al. Another successful Olympics will ensure this cycle of discovering the next generation of top class martial art athletes will continue, and the necessary funding will be available with it. So, we wait with bated breath, to see if the Welsh Wonder and the most successful male British Tae-Kwon-Do athlete can continue to be successful. Find out more of the latest sporting news on Wessex Scene‘s website.